Sicily your way. Ancient to Baroque. History, culture, cuisine and sunshine in an itinerary around Sicily in 9 days and 8 nights, from Palermo to Taormina to Siracusa and back to Palermo. The convenience of a (small) group tour with departures 51 weeks of the year. Maximum group size is 25. Departures are guaranteed with as few as two participants. 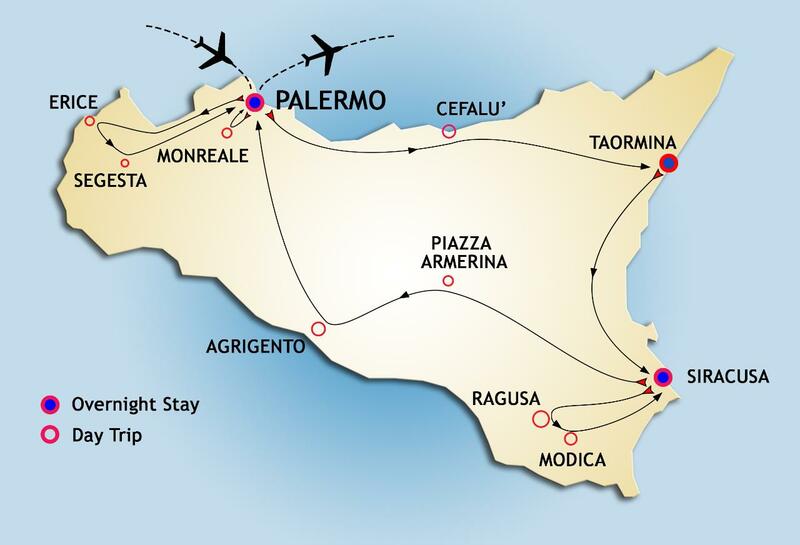 Tuesday: Following breakfast and check-out, independent transfer to Palermo Airport. (Information on airport transfers is provided near the end of this page).